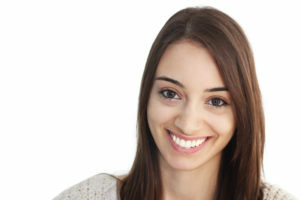 Invisalign in Norwood and Inman aligners are designed to address different types of problems; the former can correct a wide range of mild to moderate orthodontic problems, while the latter has a more limited function. Inman aligners are ideal for folks who had braces in the past but who might not have worn their retainer as diligently as they should have. As a result, their front teeth have become crowded again. Inman aligners correct this issue in a simple and comfortable way and spare you from having to undergo another full-fledged orthodontic treatment. It’s necessary to wear Invisalign 20 – 22 hours each day for it to work well. Inman aligners only need to be worn for 16 – 20 hours each day. With Inman aligners, the average treatment time is six to 16 weeks. Invisalign takes a year on average (although treatment time may be shorter for patients who have mild alignment problems). Invisalign uses a series of aligners, requiring you to switch to a different aligner tray every two weeks. With the Inman option, you use the same aligner throughout your treatment; you just have to visit your dentist regularly for periodic adjustments on the aligner. Both Invisalign and Inman aligners are very discreet and will help you to avoid the social stigma of being a “metal mouth.” However, neither option is entirely invisible. Invisalign may make teeth look slightly bulky or clouded, while Inman aligners use a small metal bar to help apply pressure to the teeth. This bar is visible to onlookers. Ultimately, whether Invisalign or Inman aligners are right for you depends on your circumstances. We often recommend Inman to our patients who just have some minor crowding at the front of the mouth because the treatment time is so much shorter. It’s also a bit more eco-friendly because the treatment uses only one aligner as opposed to Invisalign’s multiple aligners. If you would like to learn more about your options for clear braces in Norwood, please get in touch with a qualified dentist. Dr. John T. Michaels leads the team in our office. He has many years of experience in dentistry, and he offers a few different orthodontic treatments that are designed to help his patients discover the benefits of well-aligned teeth. If you’d like to talk to him about straightening your smile, please contact our office at 781-769-6140.